"Because some things in life has to be tried" .. 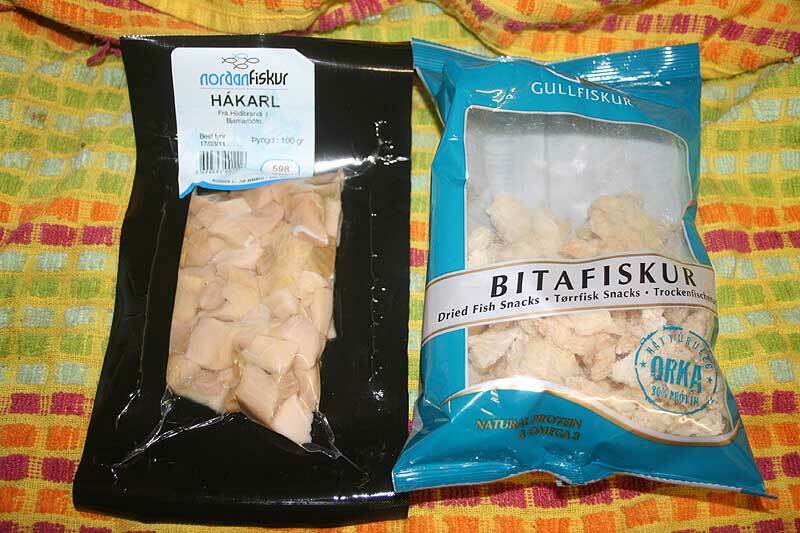 So from the ( long ) list of "How I ruin myself" here "method #876 : buy something from Iceland" ..
For those who don't know this is what Hakarl is, otherwise known as "putrified shark meat". Bitafiskur is really nice, tried a bit of it, lovign it so far. Ah of course I am an "expert" in Valencay cheese as well, so good. But now I am very curious to know how Hakarl tastes. Is it sort of shark biltong then? Reminds me of the time I ate several bags of ultra-salted dried squid given to me as a new year's greeting by the patriarch of a Chinese family living downstairs. Shark may be different, but I wouldn't know. Sharks taken quickly and unawares most likely result in the least stress-hormones being retained in those fossilized food packets.